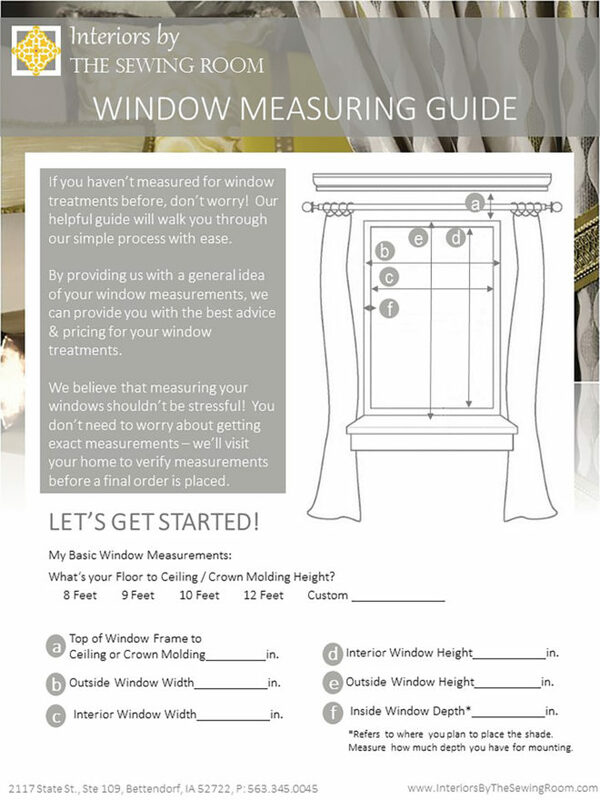 This is a window measuring guide. We recommend you have these measurements with you when you come in for a consultation with us. Or you can download a PDF of this guide! Follow the guide is to help us get started on ideas and options for your windows. It also helps us with giving you the most accurate pricing. Don’t stress. We will come out and measure your windows before we put in a final order. This is simply a guide for us to use when we meet. Feel free to take a picture of your window too and bring when you come and meet with us. Looking for a registered interior designer or architect to help with your business needs? Check out our parent firm Conceptual Designs Inc. Custom Window Treatments Specialist offering blinds, shades, and shutters, as well as designing soft treatments such as curtains, cornices, valances and more.